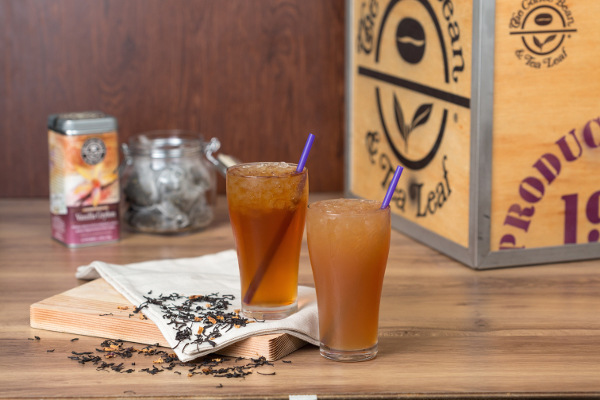 It’s time to start the week right as The Coffee Bean & Tea Leaf® encourages its customers to start fresh every Monday with a delicious, flavorful cup of their premium tea. Since it started pouring happy in 1975, the country’s top authority in premium coffee and tea, has gained a loyal following for its premium beverages. And this August 8 - October 3, 2016, the brand is offering their world famous Featured Teas for only Php 100 every Monday to inspire customers to greet the first day of the work week with a smile. 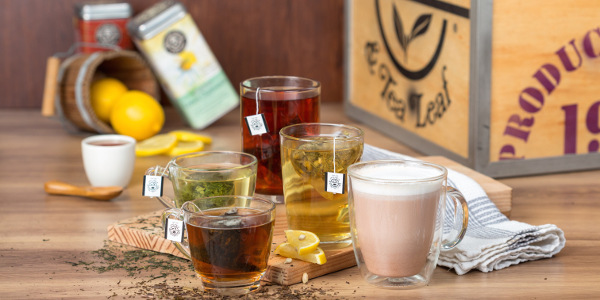 The Coffee Bean & Tea Leaf® customers the blissful tea sipping experience they know and love. 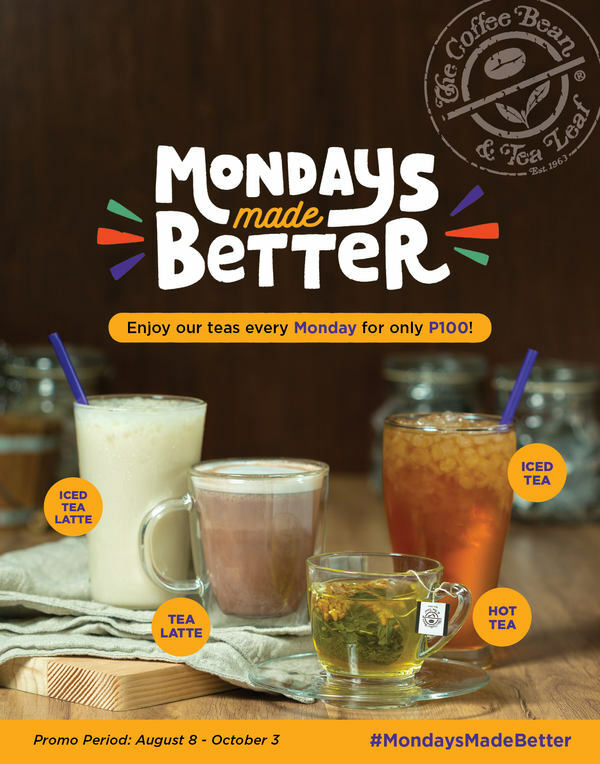 Customers definitely have reason to celebrate Mondays Made Better because they can now enjoy their favorite tea drinks at the discounted price of Php 100 for all hot teas, hot tea lattes (SMALL size), and cold tea lattes (REGULAR size). 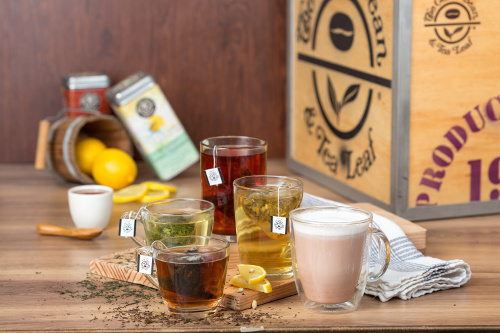 The Coffee Bean & Tea Leaf® will feature a variety of two-four Featured Teas every Monday so it’s a perfect way for tea lovers to figure out their favorites! 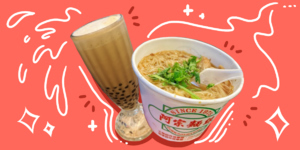 Swirl Rewards Cards holders also have the opportunity to double their swirl rewards points for every purchase of any of the Featured Teas. This promo is valid in all The Coffee Bean & Tea Leaf® stores, except for the CBTL™ Coffee Bars. 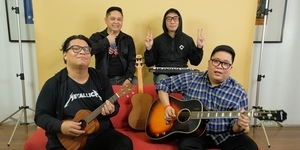 For more information on Mondays Made Better by The Coffee Bean & Tea Leaf®, visit coffeebean.com, LIKE The Coffee Bean & Tea Leaf® (Philippines) on Facebook and FOLLOW @CBTLPH on Instagram.